Jewelry shopping, originally uploaded by anthonli. 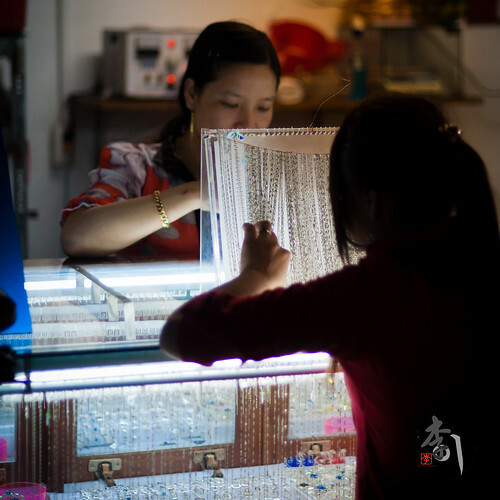 A shopkeeper displaying her necklace collection to a prospective buyer in Vung Tau Market. Cocoa Flower-Edit, originally uploaded by anthonli. 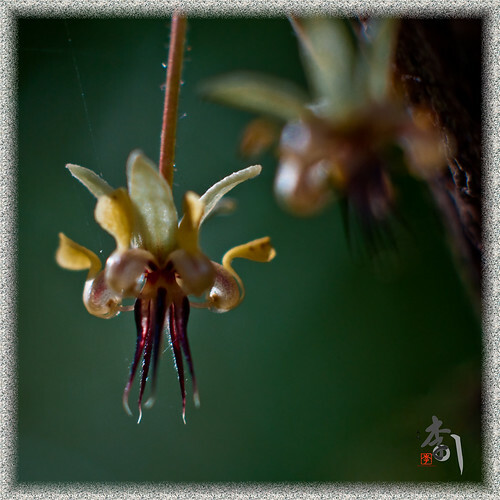 This cocoa flower was taken over the weekend in a cocoa farm in Ben Tre, Mekong Delta Region. 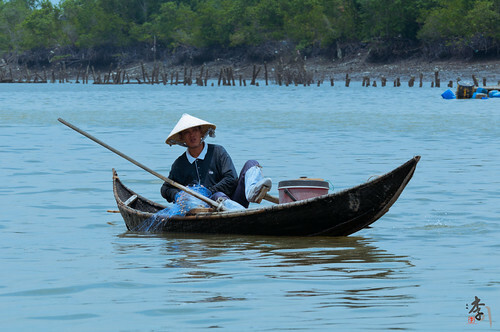 The Mekong Delta is known for its many orchards and farms, being one of the major rice growing regions in Asia. This flower, however, is not a good representation of Ben Tre, which is known for its coconut produce. Preparing nets, originally uploaded by anthonli. Most river fishing boats are one-man rigs. As such, the fisherman has to multitask… Really multitask. Just like this fisherman here, using his hands to lay the nets and using his legs to row the boat! Playing Sparkles, originally uploaded by anthonli. It’s almost one month to the Autumn Equinox, or known as mid-Autumn Festival in East Asia. 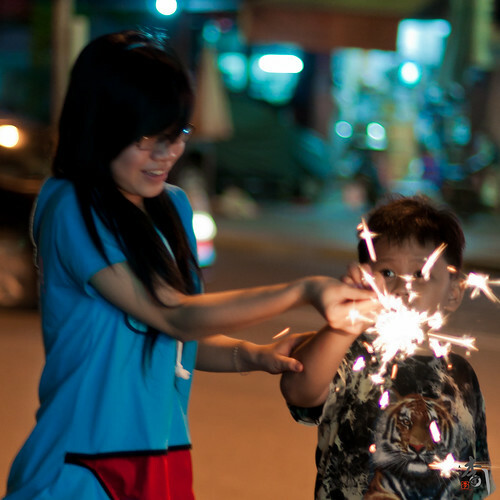 One of the past-times of children during this time is to play with sparkles, as these kids are. Sunset in Cai Mep, originally uploaded by anthonli. In Vietnam, more than two-thirds of the economic activities are generated in the south. Especially in and around Ho Chi Minh City. In 2007, a series of deep-water ports were proposed and licensed to many big names in the shipping and port industry, in joint ventures with local firms, of which I’m now working in one of them. 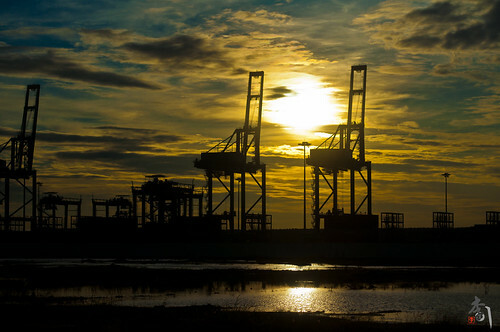 Here a picture of the port, taken during sunset, when I’m leaving office on my way home.